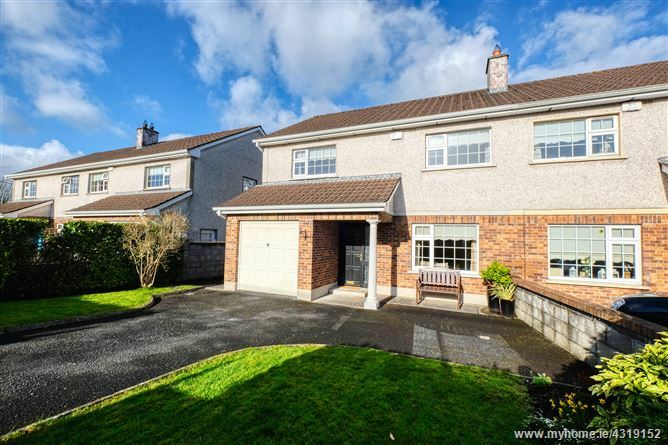 4 Bed Semi Detached House c. 125 m² / c. 1,345 Sq.Ft. plus integrated garage and private residents’ park to the rear. Walking distance from the town centre. This family home is presented in excellent condition. The house features a spacious and bright sitting room with gas insert fire. The kitchen has substantial built in units and has access and looks out onto the rear patio and garden area. Off the kitchen there is a separate Dining room. 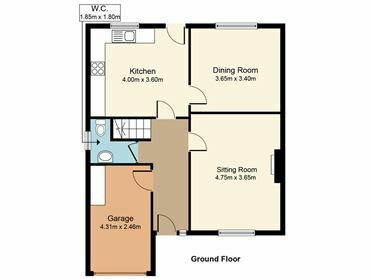 There is an integrated garage accessed off the hallway that could be converted to further accommodation and currently houses the washing machine & dryer. There is also a ground floor under stairs WC & WHB. 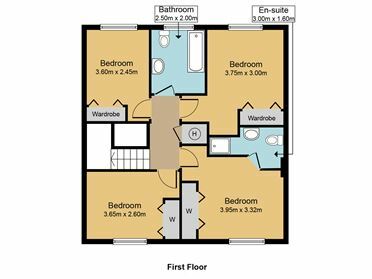 Upstairs there is a spacious main bedroom with built in wardrobes and an ensuite shower room. 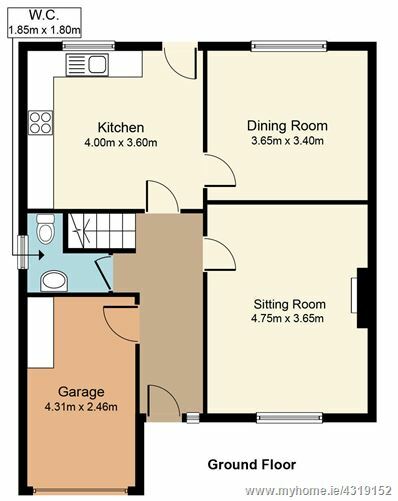 There are two additional double bedrooms and a single bedroom all with built in wardrobes. Serving these bedrooms is a spacious family bathroom with electric shower. Outside to the rear there is a beautiful Liscannor stone patio area and garden with mature planting affording great privacy. From here there is access out the back onto a private resident’s park that is shared between just 8 adjoining houses. Being located just a short walk from the town centre, there are many local amenities and convenience stores nearby. The area has proven to be one of the most popular residential locations in the town, with a lot of owner occupiers and a very active residents association. Oil Fired Central Heating, Mains Water & Sewerage, Double glazed windows throughout, Fully Alarmed.